Opening times may vary on event days - please email the restaurant to find out more. Absolutely fantastic from the moment we walked through the door to leaving. Our Sunday lunch was great apart from the really tough beef. Even the waitress bringing a sharp knife each for us to cut the meat, but didn't help with the chewing!!!! Veg and other elements were spot on, beef was a disaster. Excellent. Booked this for my group of friends visiting Cardiff, on another friend's recommendation.Great value for money, very good roast, friendly service and lovely place. Thanks! The food was very tasteful and nicely presented. The waiting stuff were attentive. The only down side is the price since it is actually the same prices than in London. The food was wonderful, pricy but worth every penny. I had a pork croquet and a cod loon and both were incredible. Especially the cod was the best I’ve ever had! My husband had the pork cheek which he said was melting in his mouth and chicken supreme which he loved again. I recommend the gin and tonic special they had on the day. Staff very attentive and polite, in overall a wonderful experience and we’ll definitely be back again. Was fab. Only wanted snacks along with our drinks but will definitely be back to sample the full menu. Probably the best G&T and Sticky Toffee Pudding we've ever had, and we've had a lot! 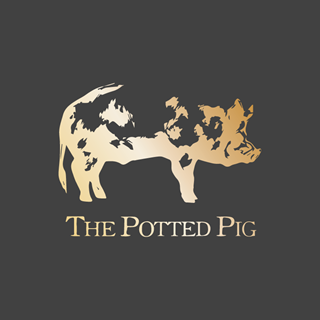 Another enjoyable meal with excellent service we visit Wales at least twice a year and make a point of visiting The Potted Pig when we do - it’s a highlight of the 200 mile journey we make. I thought there would be more Pork dishes on the menu. I ordered the Cod however which was very good. Hosted a group of 14 colleagues from around Europe. None had ever been to Cardiff before. They were genuinely amazed by Cardiff and the quality of the dinner in The Potted Pig. Delicious food, great service and lovely atmosphere. Fantastic food, as ever, with excellent service throughout. Wonderful food and service, an all around excellent experience. Would definitely recommend. This is truly the best Sunday lunch in Cardiff. Always great food in a great surrounding with very friendly staff , we have been here many times . 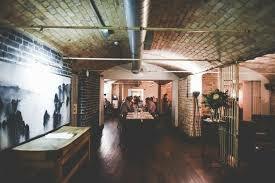 Excellent food and service - booking for a large group was easy and staff were really helpful. The group loved it - apparently the steak cut like butter. My gnocchi was gorgeous. I must admit upon perusing the menu beforehand (after booking) I did wonder what I was letting myself in for as there didn't seem to be a wide variety of choice and nothing I read seemed to jump out at me but due to the restaurant being located in a former bank vault I was very keen to give it a go. From the moment of arrival to departure, the staff were very friendly and welcoming. Braving the pigs cheeks and crispy ears for starters my taste buds were in heaven. I could have quite happily had a big bowl of crispy ears for the rest of my meal. Main was the pork belly on fancy mash and even if I was forced to find fault with anything, I wouldn't be able to as it was simply divine. My dining partner had the lamb so of course I had to try some and that too was scrumptious. Dessert was a lemon and raspberry dish - super zesty and refreshing. And of course no meal is complete without an espresso martini!! I can't recommend the potted pig enough for a wonderful dining experience. Fantastic meal and service. The music was slightly too loud for my Gran. Would come back again. Lovely food. We’re been here several times and food is consistently excellent. We had the set lunch. We do find the wine a little expensive.